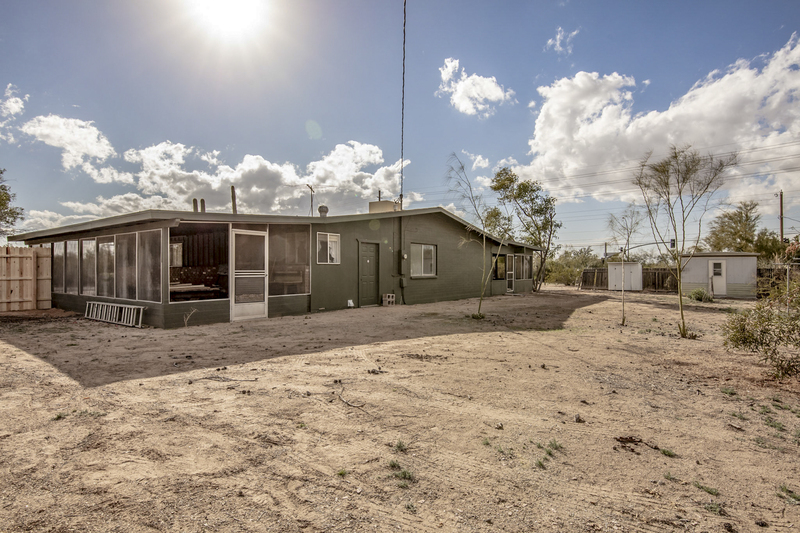 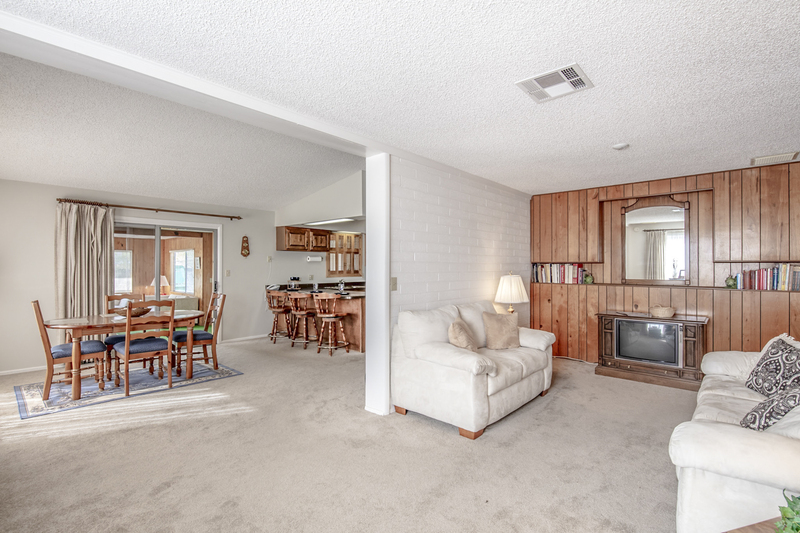 This quiet and cozy three-bedroom home located in northeast Mesa will capture your heart. 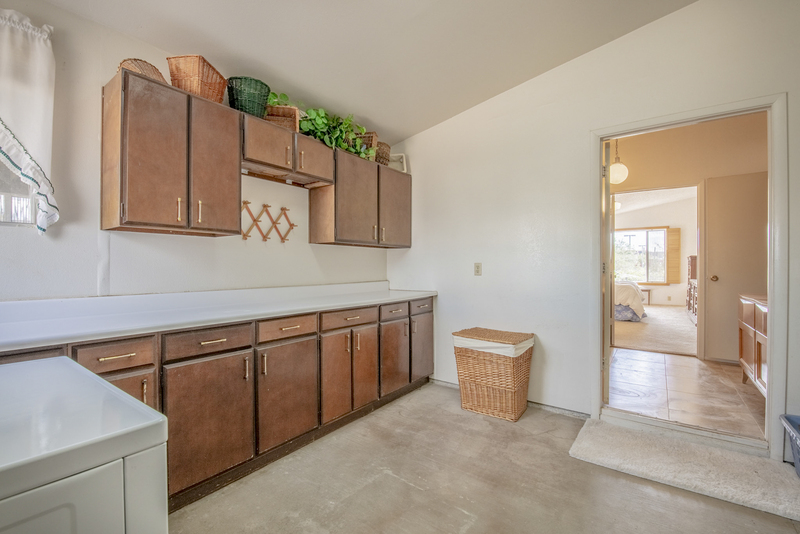 Full of vintage charm and endless possibilities, you'll fall in love with the spacious outdoor areas, bonus entertainment space, and more! 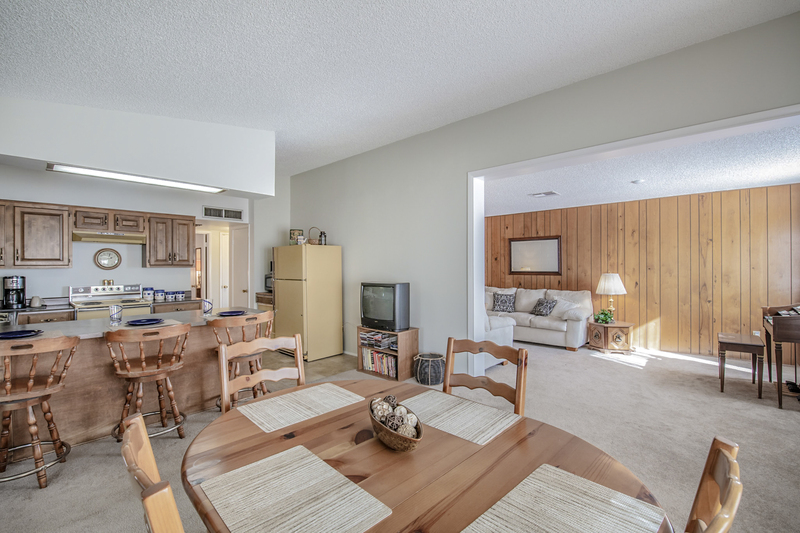 From the moment you step through the front door, this home welcomes you with a large open area overlooking the eat-in kitchen and family room. 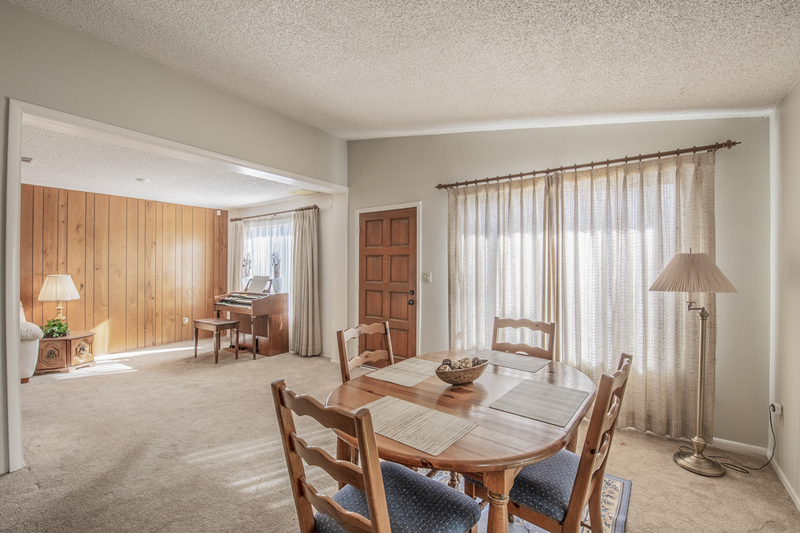 Gather in the dining area for a family meal, grab a quick bite at the breakfast bar, or sit and relax with friends in the spacious family room with classic wood paneling. 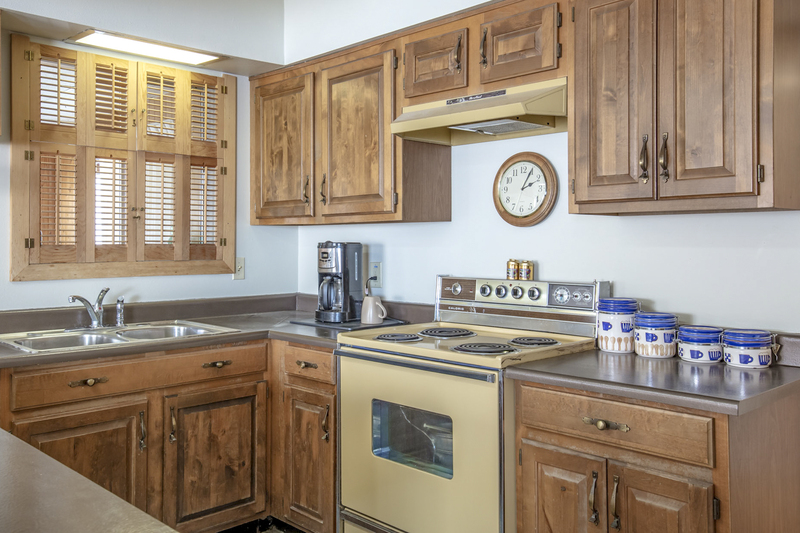 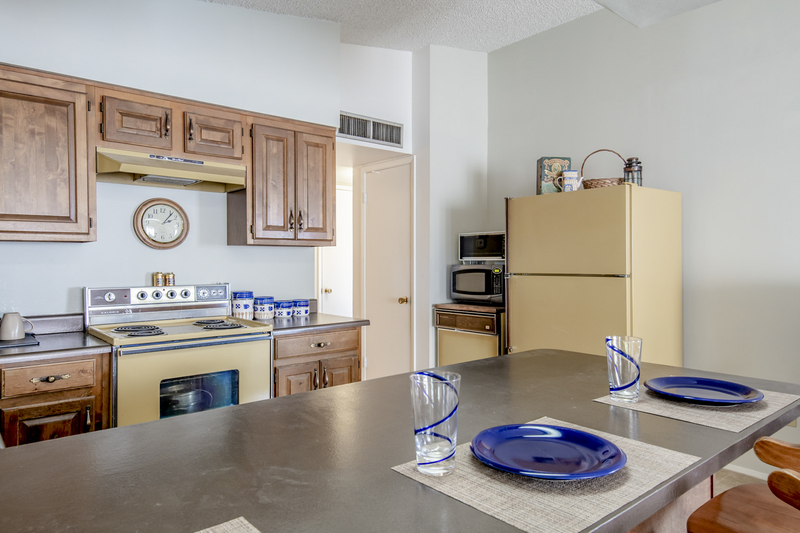 Just off the dining area is the kitchen, complete with a vintage harvest gold appliance set for making delicious meals and impressing friends. 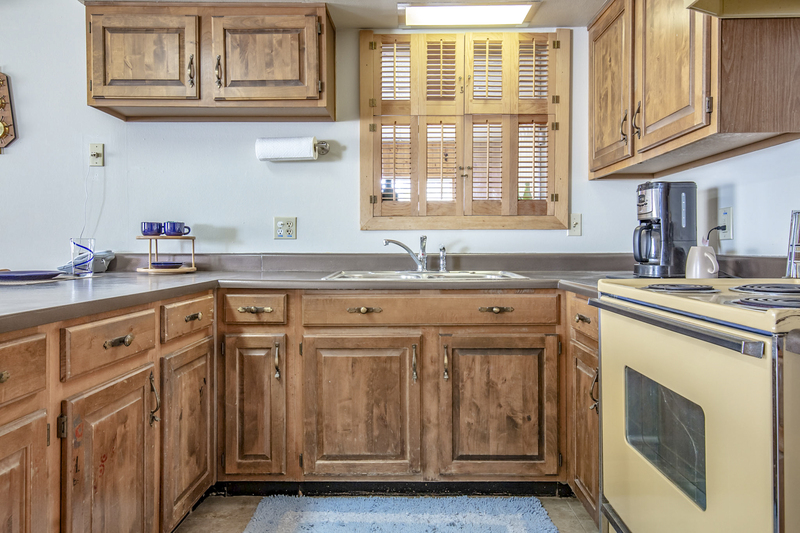 The rich wood cabinetry has a unique charm, easily updated with a coat of paint and new hardware if you are looking for a new look. 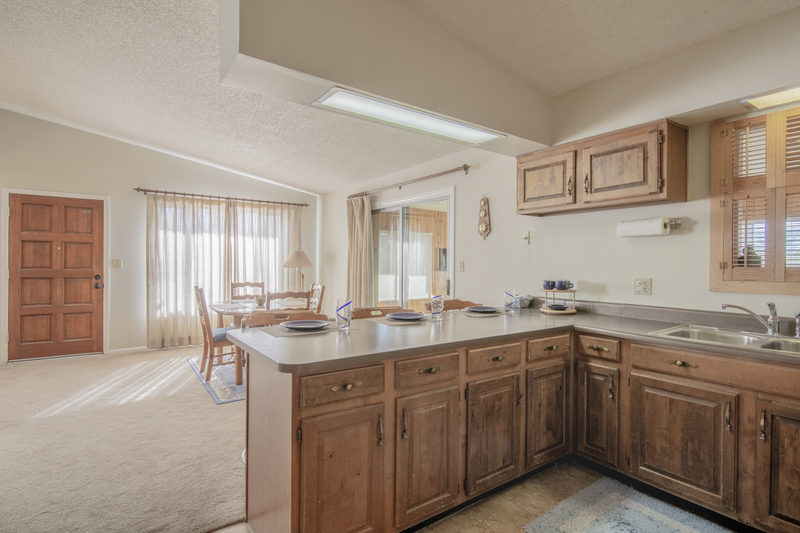 The breakfast bar is perfect for a quick meal, oversized and easy to slide up to. 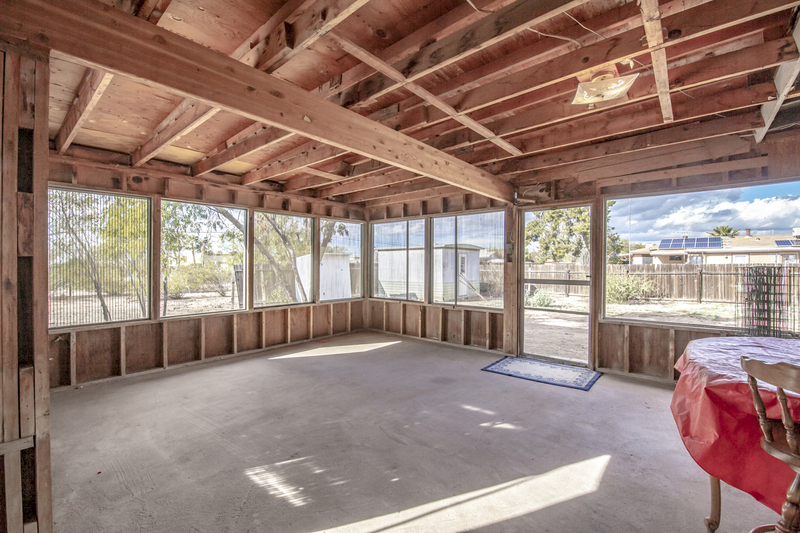 This spacious master suite has plenty of room for a large bedroom set and reading nook with beautiful natural light for early morning reading. 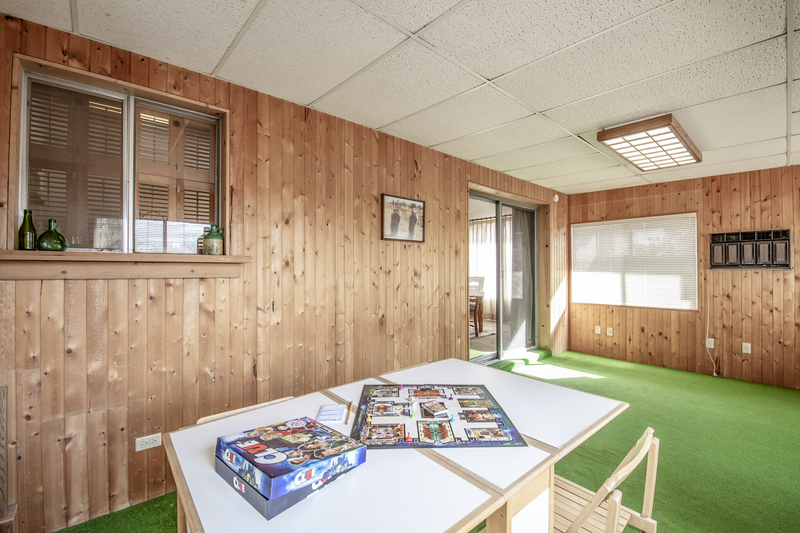 Whether enjoying a new mystery novel on paper or mount a large flatscreen for Netflix in bed, this room has plenty of space to relax your way. 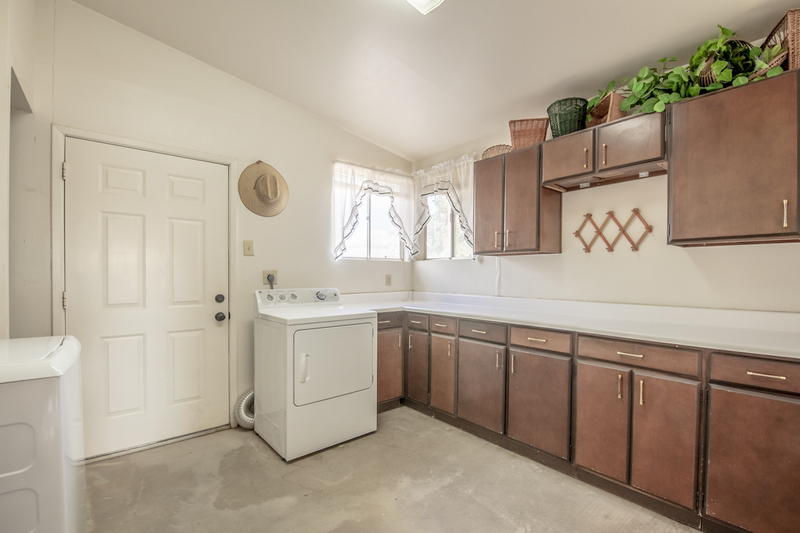 Just off the master bedroom is access to a spacious laundry room with long countertops and ample cabinetry. 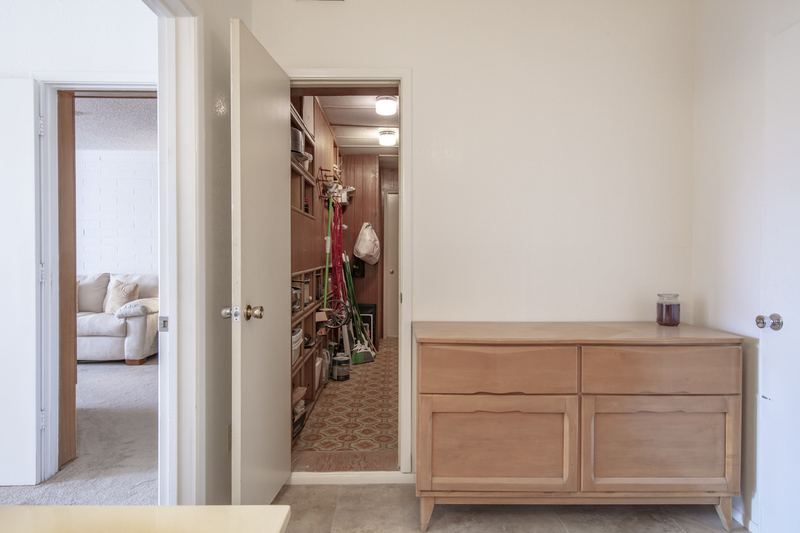 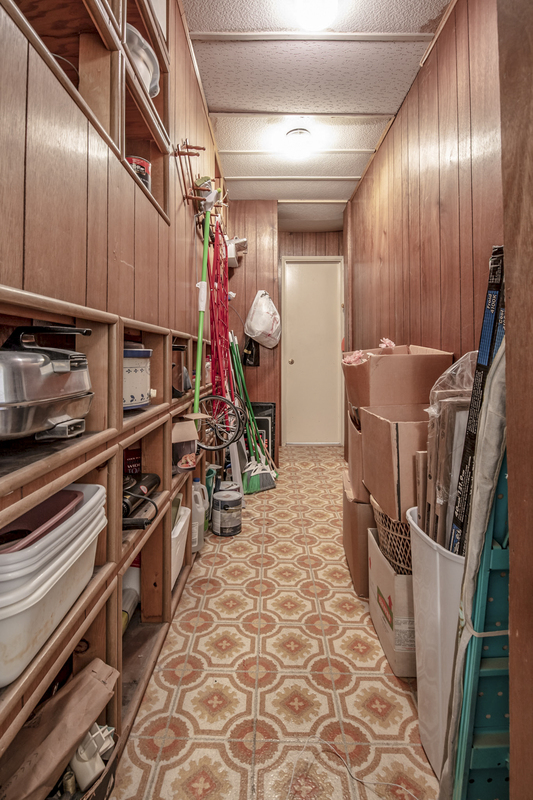 Additionally, just down the hall from the master bedroom is a long storage closet perfect for cleaning products, a stocked pantry, or extra kitchen storage for your favorite crockpots, instant pots, and pressure cookers. 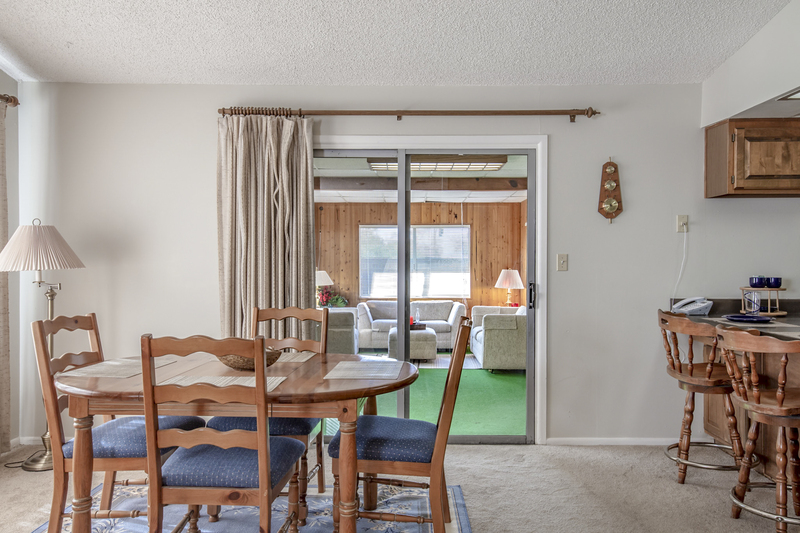 This home also features two additional guest rooms and a full bathroom on the other side of the home, ideal for family or guests, with enough room and privacy to stay comfortable as long as you'll let them. 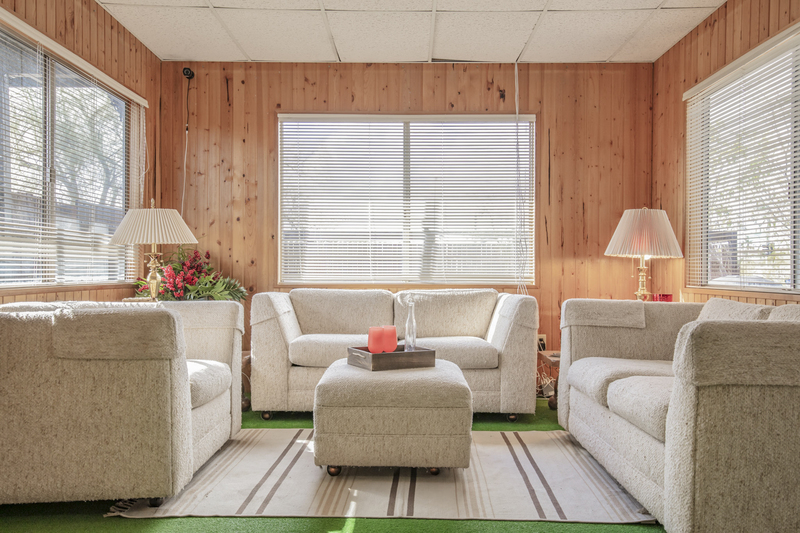 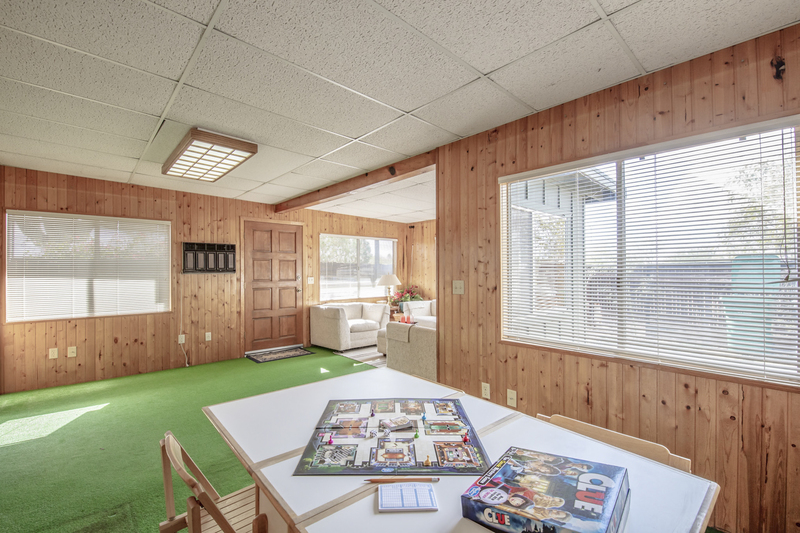 The finished bonus room works as a playroom, game room, additional living space or craft room and leads to a covered patio that can be transformed into even more living space for entertaining friends or family. 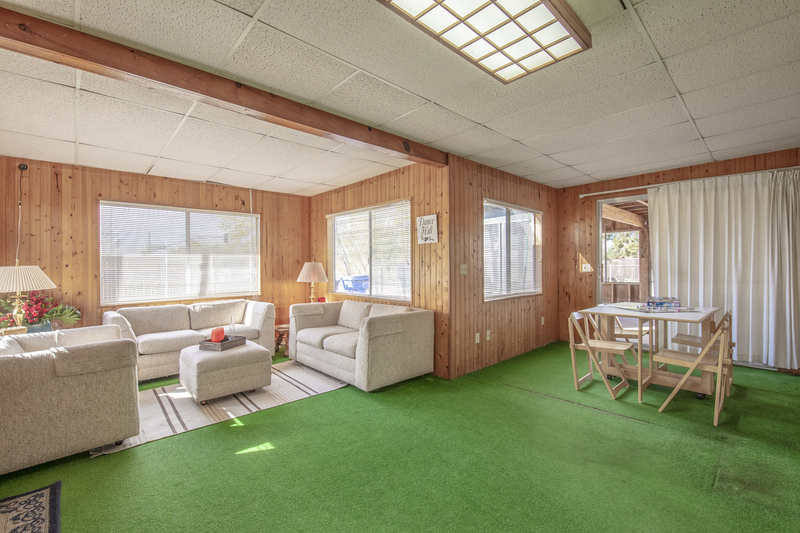 The classic wood paneling and green flooring make this room straight out of a 1970s movie - cocktails and boardgames, anyone? 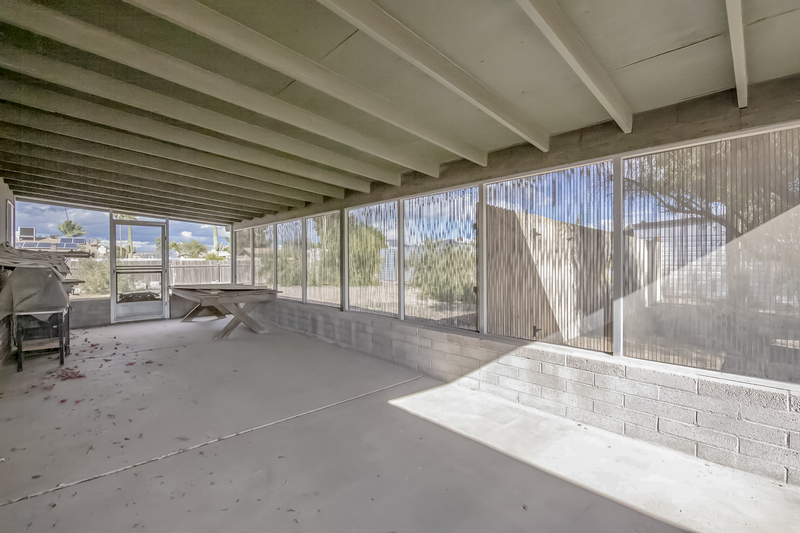 Watch the sunset in this desertscaped backyard. 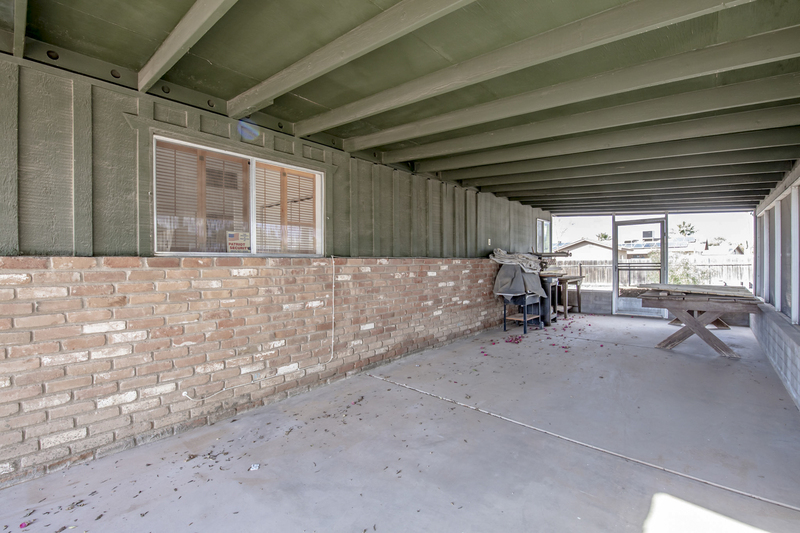 Outside, you'll find a two-car tandem carport with room for storage or your favorite classic car. 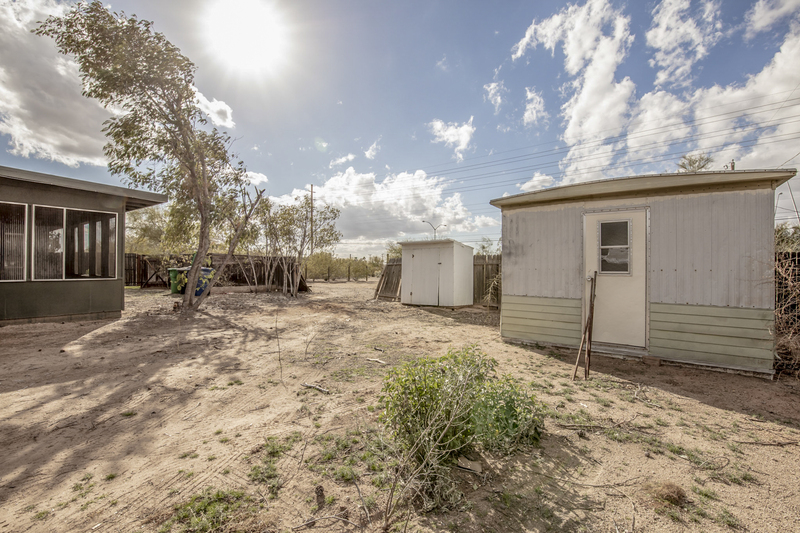 A new fence has been installed, walling off this private lot on nearly a half acre of property, with room to set up your own garden, Instagram worthy photo space, or build your own pool. 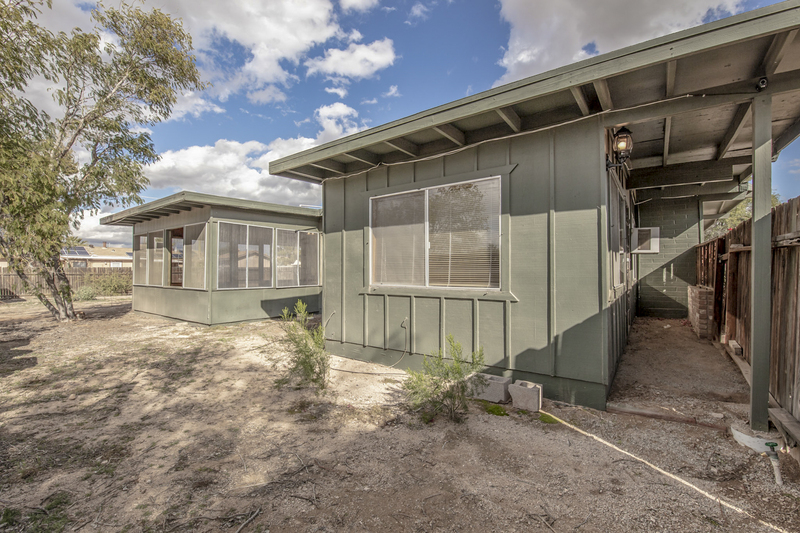 Exceptionally convenient for students, families, and nature lovers alike - this unique Mesa property will go quickly!